Sharing a common platform allows government agencies to stand on the shoulders of others, inside government and elsewhere. CEO of the DTO Paul Shetler explains how platforms can benefit government and provides an update on what the DTO is building. Government provides a huge number of services, helping millions of people to get things done. Often, the same functionality is repeated many times over across many different government services, at multiple levels of government. For example, booking appointments, making and receiving payments, or checking the status of an application. When common features emerge, they can be extracted out and opened up, along with the user interface, back office tools, infrastructure and data. This means that the rest of government can make use of the functionality as building blocks for other services. We call these building blocks ‘common platforms’. 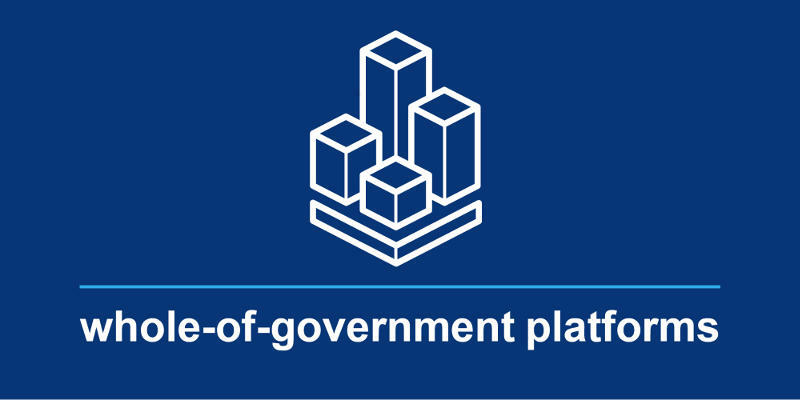 By adopting platforms, duplication across government is reduced, making services more efficient and quicker to build. When this happens, the people building services can be freed-up to focus on how user needs can be best met, instead of reinventing the wheel. Best of all, sharing a common platform allows government agencies to stand on the shoulders of others, inside government and elsewhere. Everyone benefits from sharing and reuse of research, design and technology efforts, and users get a consistent experience across different services. GOV.AU is our platform to help government to deliver better services and information. When it is built, GOV.AU will provide a common approach to design, technology and content so that people have a simple, clear and consistent experience when they use government online. We’ve delivered an Alpha prototype and are now building this in Beta which we’ll release in August 2016. The Digital Marketplace will make it easier for digital suppliers to connect with government so they can help us deliver brilliant digital services. We’ll simplify IT procurement and create a catalogue where suppliers and buyers can engage. Expect to see an Alpha prototype of the platform in late 2016, with a Beta expected early 2017. We’re working to make it easier for people to prove they are who they say they are, when they need to access government services. The DTO is working towards a common approach to identity proofing and authentication so that people can prove their identity once and carry out any number of cross-agency transactions thereafter. Information about the performance of government services will be published on a new dashboard. By making this information easier to access, the dashboard will drive the continuous improvement of government services for users and increase government transparency. Next we will release an alpha of the dashboard, showcasing performance information about a live government service. cloud.gov.au will provide the infrastructure, monitoring, and delivery tools for teams in government to release and operate user-facing web applications easier. It also makes it simpler to adopt best practices in releasing software, and will simplify the security accreditation process for new services. So far, we’ve tested the platform with teams in our delivery hubs, and we’re now working on building a self-service interface.